Fortunately this classic Roadside Americana Park was saved by David Haversat of Connecticut, and reopened November 25, 2017. I was there that day, and the first visitor. David invited me for the official ribbon cutting ceremony on December 16, 2017. Prior to giving thanks to local and state officials for their assistance in the reopening, David told the history of the park. He shared his remarks with me so I can share them with you. In the mid 1950’s Jack Poppele of Newark, New Jersey was driving through Putney right out here along Route 5 when he spotted what he deemed as the perfect piece of property for his vision. His vision was to construct a tourist attraction with a Christmas theme. 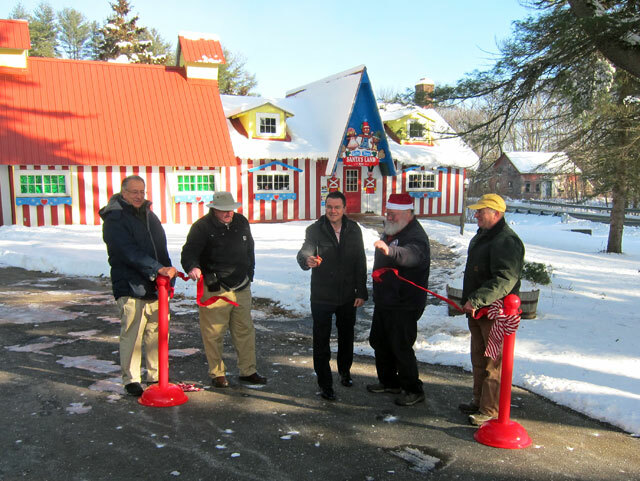 Two years later that dream would become reality when Mr. Poppele officially opened the doors of Santa’s Land in 1957. Exactly 60 years later we stand within feet of where the first patron entered the property, and over the last 6 decades, over a million men, women and children from all walks of life have driven through Putney and the Vermont region to come here to Santa’s Land. Mr. Poppele was a successful businessman well before Santa’s land came to be. He was one of the founding members of WOR radio, a New York City AM radio station and was the first to conduct a Christmas Day radio broadcast in the United States. President Eisenhower appointed Poppele as the director of the Voice of America. 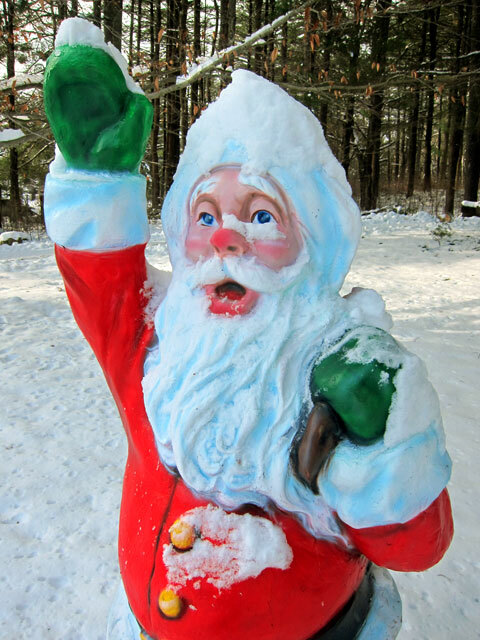 Santa’s Land was officially sold to Robert and Tina Brewer in the summer of 1970. The Brewer family successfully ran the park, making many improvements and additions over the years including the Igloo Pancake House. The Brewers hired hundreds of local teenagers, some of them here today grown up with families of their own experiencing Santa’s Land many generations later. The property went through ownership changes in the 1990’s and early 2000’s. with the Fanelli family and Tim and Leslie Wells, all who placed their hard work and finances into preserving Santa’s Land. Many of you have heard my story from the local press. My parents David and Bette Haversat took me to Santa’s Land when I was seven. From that time forward I thought, dreamed and hoped one day I would be the proprietor of Santa’s Land. While in my early 20’s and again in my early 30’s I visited the property meeting with the owners. The timing was not right and finances impossible. 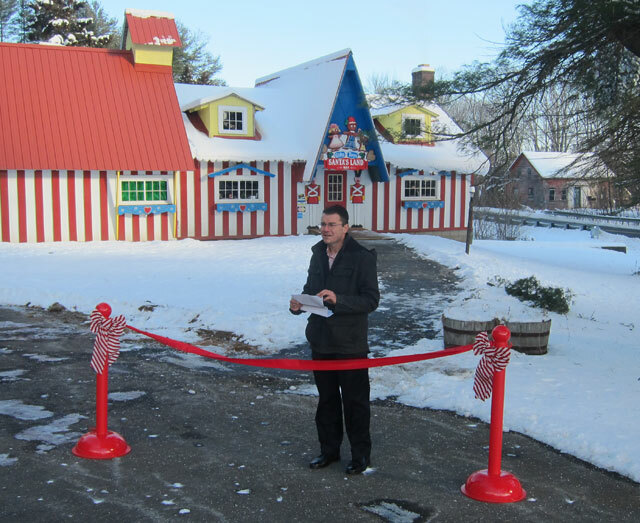 Santa’s land then closed due to unfortunate circumstances and the property became distressed. It was at this time I knew it was now or never to save Santa’s Land and make a big attempt to bring this property which has meant a great deal to so many……back to life again! It has been stressful, tiring and rewarding all at the same time. When we opened to the public last month on November 25th …. and a line developed at 10:00 AM with a full parking lot, my dream had been accomplished. There’s more to be done and more will be done so a million more families can enter through these doors well- beyond our lifetime so they can experience what the meaning of Christmas and what the magic of Santa’s Land is all about. Thank you.